Depending on the procedure, Israelis can find themselves waiting just a few days for necessary heart, lung, or stomach surgery – but can wait months, or years, for other procedures, especially involving plastic surgery. That is the conclusion of a report released Sunday by the Health Ministry, which evaluated waiting times for 73 procedures in all of Israel's hospitals. On average, Israelis will wait a total of five days for insertion of a central vein catheter, generally used before or after major surgery to deliver medicines to the system. The procedure is important for many conditions, but is generally not done on an emergency basis. Another important but not emergency-level procedure is an endoscopic tube insertion, and the average wait for that procedure is eight days. Those waiting for plastic surgery and outpatient procedures had much longer waits. A procedure to close a hole in the ear, for example, required an average 193 day wait, while hemorrhoid ligations took 176 days to schedule. A procedure to correct eyelid drooping required a 176 day wait, while those waiting for plastic surgery to remove excess skin after radical weight loss waited 151 days. However, when examined closely, the study showed significant differences between hospitals. In general, private hospitals had shorter waits for most procedures. Treatment options were available at these hospitals for Israelis with upgraded (gold or platinum) health fund insurance or with private insurance. Public hospitals had longer waits, but even among these, there were significant differences. 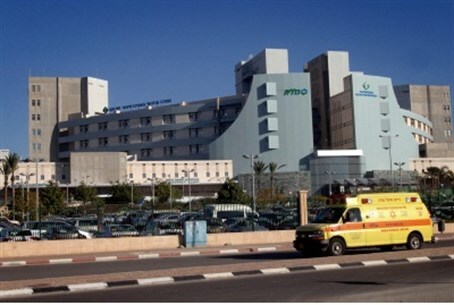 In the most radical example, children 18 and under waited an average of 812 days at Soroka Hospital in Beersheva for an eyelid correction, while patients at Hillel Yafeh Hospital in Hadera waited just seven days. Hospitals with “bad” records said that the delays were due to over-referrals by the health funds to certain institutions. A Health Ministry official said that many of the problems were due to underfunding of public hospitals. And, in a statement, the Ministry said that, as often happens, the poor were left behind. “Very often, the long wait for a procedure, which may interfere with the quality of life of a patient, prompts individuals to opt for private care,” the statement said.